Lateral Power Limited is the preferred bidder for developing an innovative Eco Park on the Anglesey Aluminium (AAM)smelter site at Holyhead, with the potential to create over 400 long-term jobs. The announcement was made by Edwina Hart, Business and Enterprise Minister, during a visit to the Holyhead site, and follows a recent decision to grant Enterprise status to the island as ameans to boost economic growth and create more jobs. AAM recently secured planning approval from the UK Government's Department for Energy and Climate Change (DECC) to build a 299MW biomass plant on part of the former smelter site at Holyhead. Following this announcement by Mrs Hart the local community will look to rapid progress towards development of the site by Lateral Power Limited, especially given the level of unemployment on the island and the promise of up to 400 long term posts on and around the site. An integral part of the innovative eco park will be a ground breaking aquaponics centre for the growth of fish, fruit and vegetables. This is a very encouraging development as it seeks to address the concerns over resource depletion and the carbon footprint from transporting food across the country. Growing more food closer to population centres and doing so using new techniques such as aquaponics is the way towards a sustainable future. All this against a backdrop of this weeks publication by the Welsh Government of its three year spending plans. Mrs Hart said: "It was a Budget for Growth and Jobs with £6million additional resources being allocated to encourage businesses to invest in innovation, which will hopefully lead to many more announcements of the kind that we have seen today, creating quality skilled jobs across Wales." The potential to create over 400 jobs will be very welcome on Anglesey and the neignbouring Gwynedd area. The Eco Park is a strong demonstration of the commitment to achieving the Energy Island vision using a combination of green and other low carbon energy sources. When you add in the potential of a new leisure resort on adjacent land at the Penrhos Country Park, also owned by Anglesey Aluminium, then the potential jobs created could reach well over 600. 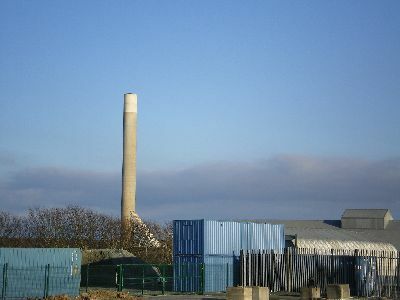 Looking back to 2009 and the aftermnath of the global economic crisis when Anglesey Aluminium shut down its smelting operations, clearly it was a body blow to the local island community. Lateral Power Limited is now in a position to help the island turn a new chapter on its industrial journey to modernity. For more local stories and articles, subscribe to our free Anglesey Newsletter here. It's as easy as 1-2-3!